Voila! 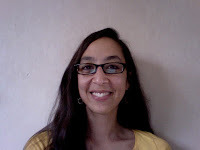 New compelling & entertaining posts from our France-based African American, American and African-French contributors. Welcome to their world. This week: clothing dilemma, the hippest, funnest (!) park in Paris, bar hopping. I quickly realized that my light load of clothing here would not be enough. My backpack broke, and I don’t have a travel bag. All of these things have lead me into many boutiques (primarily in the Marais). I have to say; I have been either under or over whelmed. In L.A., I have lived there for so long, and the sun is always shining; I know my favorite stores, and am always down to go to them. Here I don’t know where to look, and there is so much! But along with the fear of shopping in Paris (hah!) I have come to understand how important each choice is. Everything semi-decent quality is pretty expensive (unless I am visiting a flea market) so I want classic items, which I will get a lot of wear out of (practical and long lasting). Having said this, practicality is something different in Paris than it is in LA. There is a much stronger need for versatility. I walk outside to what seems like a sunny day then in two minutes it is bitterly cold and pouring. But five minutes into the rain it brightens up. This kind of weather sums up my experience in Paris thus far, and also explains some of the difficulty in finding items. This city for me is named, “Be Ready”. Every corner I turn is something different! The weird cheap-y crap-selling stalls across from the Louvre turn into really expensive clothing and décor stores in the blink of an eye. The metro is hot as hell, but the air outside is so biting. I freeze and melt, freeze and melt, freeze and melt daily. A city of extremes, of quick reactions, of confusing necessities for preparedness, and I am standing in front of what seems like boutique 1,000 not being able to face it all. HOW AM I SUPPOSED TO BUY A DANG JACKET? I want something that will keep me warm in Paris’ coldest temperatures, but that will be comfortable during the fall cools as well, or that won’t be difficult to peel off on the metro, that won’t smell weird when it rains. I just want something that can adapt. In truth, I want to adapt. I want that jacket but I also want that me. Paris requires a versatility that I thought I had. I want to look nice in all occasion as the Parisians do, even though the occasion can change up to 6 times a day! This city is beautiful and very busy; strangely, I think I will always equate it with my sweat drying too fast in the cold air when I step out of the metro. 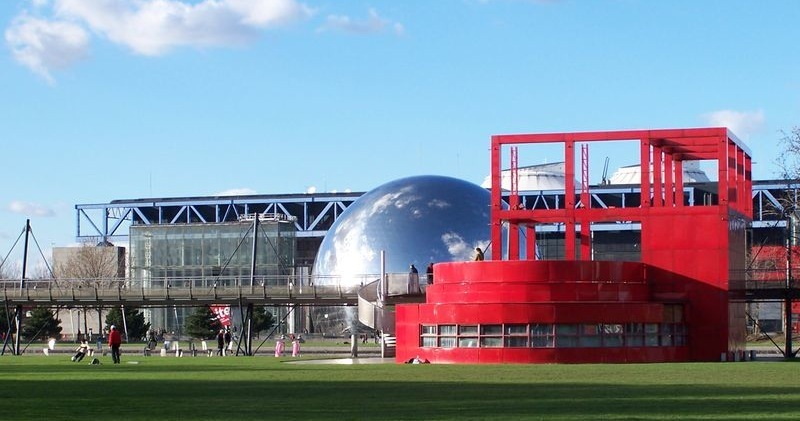 When it’s time to have fun or thinking about relaxing, Parc de la Villette in the 19th district of Paris is sometimes one of the best places. 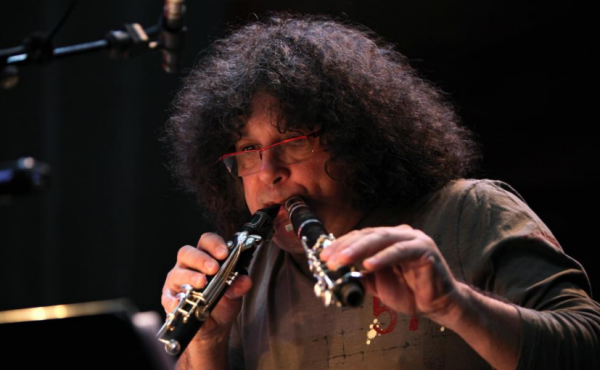 Summer or winter, you can see exhibits, shows, concerts of national and international artists of different genre of music. Zenith, Cabaret Sauvage or Trabendo are the popular places for parties and shows. People love to hang in the park. 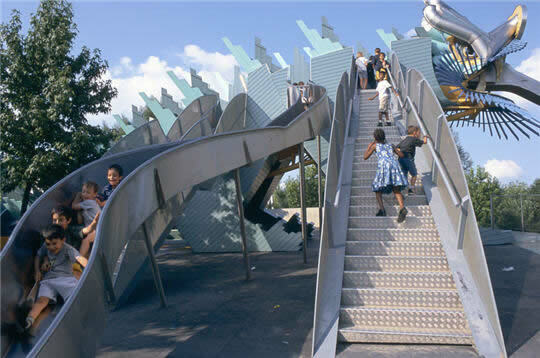 It’s also a perfect place for kids who can play around. It’s at the same time a family place. A friend of mine from New York with her son visited the park for the first time in September. They loved the place and especially her son who played, danced and smiled for hours. 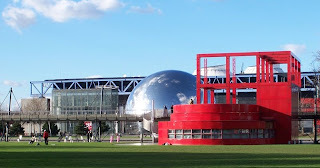 I found in La Villette “Le Café de la Musique”, it was a quiet place where I can brainstorm and work on my writing. As there are many activities and many spots around, I went there to see famous singers perform. I remember years ago when I saw the first Kanye West show in Paris at Trabendo or Wu Tang Clan at the Zenith. It’s a great place for inspiration. This is the Dragon Slide - your kids will love it! This angle of La Villette is a teaser - so much more to enjoy. A music program like you'll find nowhere else. 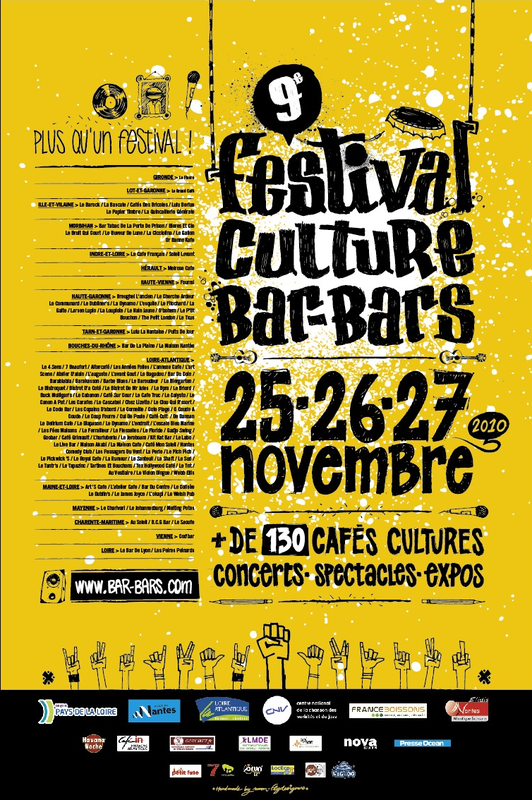 Festival “Bar-Bars” was celebrated on the 22nd, 23rd and 24th of November. 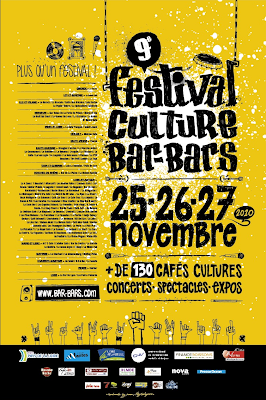 A wonderful festival made up of bars and cafés all over France (Nantes having the most members/participants) supporting live music and other arts in small venues. For three days there are shows of all kinds everywhere. The vibe is great, everyone goes out on the town and the city is alive all over. Because Nantes is a relatively small city, checking out several gigs in one night is easy. There is something very homey about this festival. Out of the hundreds of choices available, my girlfriends and I opted for a night of “Queen” revival – the singer/pianist imbued with the Freddy Mercury spirit right down to the outfits. Such a liberating evening of singing along and dancing! As a matter of fact, every time I have gone out during this festival, I always have a serious dance moment. Perhaps it's due to the fact that there are no pretensions behind this festival. Simple yet real.